In 2002, following a period of disillusionment, I began Post Graduate training in metaphysics, energy medicine and holistic therapies with The Academy of Spiritual Sciences, which was the first step towards following my life plan dreams. 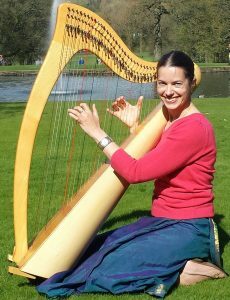 During this period, I bought a small harp and was encouraged by Carol Lamb, my therapist course tutor, to teach myself to play intuitively. Although I played the guitar and mandolin, I had never created music before and wondered how it would happen. As I learned the principles of energy alignment through meditation and the Emerald Alignment, I found that the music began to flow spontaneously and also that in order to play intuitively it is essential to disengage the mind. If I started thinking about what I was doing, the musical flow stopped and I would need to align again to reconnect intuitively. The more I learned to disengage my mind, the longer I could sustain the intuitive connection, enabling the creative musical energy to flow through my body and into the strings. At such times I felt as if I was in the audience not knowing what was going to come next. Over time, I became aware of different musical influences as I played, prompting me to compose short pieces. 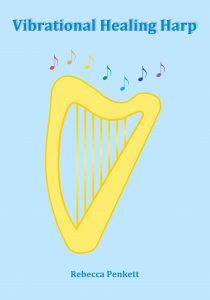 I established Harp Alignment to develop this unique style of harp music, offering harp lessons and harp therapy to release cellular memory from past experience. 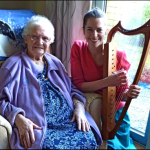 Therapeutic harp music, Spanish classical guitar and uplifting singing with the mandolin and ukulele in care homes and nursing homes. Residents have found the music soothing, calming and relaxing. Playing the harp intuitively is a healing experience, which enables the release of stress and anxiety in the process of clearing subtle energetic pathways. Learn the ancient principles of playing the harp intuitively, discover musical skills and learn to create harp music. Find out practical applications for playing the harp in different therapeutic settings. Listen to my radio interview: Cells of the Soul on Paranormal Matters Radio.